- 700mm carbon Blades. They are good for Extreme 3D. - Applied for all FB and FBL systems. - One pair of Gryphon blades. - A neat Gryphon chamois. 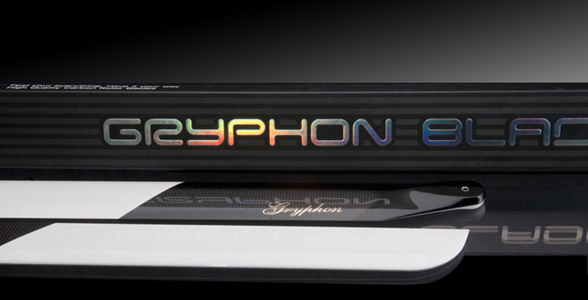 Gryphon Blades are manufactured in Gryphon plants by Gryphon, instead of through OEM manufacturing. All materials are from Korea and everything is produced in Korea. Proudly resulting in the best finishing process and high-end performance.